Roasted Garlic Parmesan Carrots tossed with the most flavorful garlicky and buttery parmesan cheese coating. The carrots come out sweet, tender and really delicious. One of my family’s favorite ways to enjoy carrots! 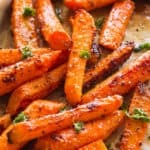 A great vegetable side to any meat, this simple Roasted Garlic Parmesan Carrots recipe is the most versatile side dish. It goes great with holiday meats, like Honey Mustard Glazed Ham, or with quick weeknight dinners, like this Creamy Lemon Parmesan Chicken. 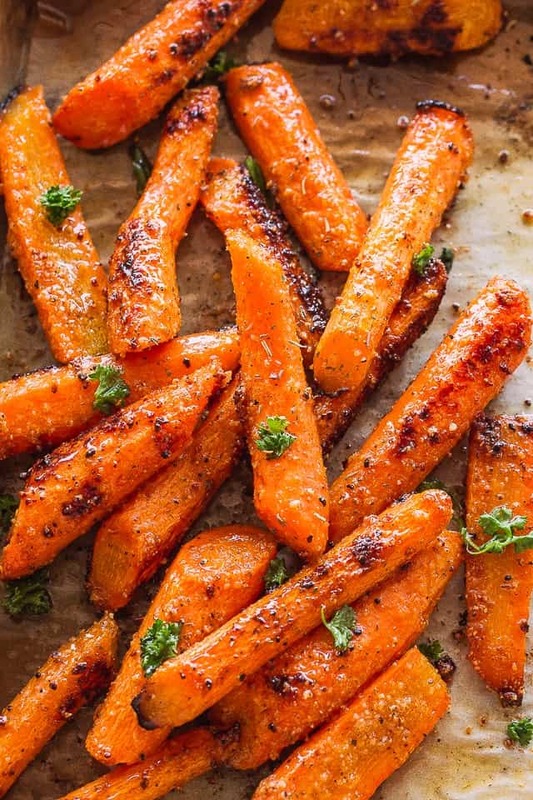 Butter and salt intensify the natural sweetness of the carrots, but add some garlic and parmesan cheese to the mix, and you’ve got yourself a new favorite veggie side dish. I’ve always said; if you need a way to get your people to eat their vegetables, just add some garlic and butter to the veggies, and throw them in the oven. Years ago I posted my recipe for Garlic Butter Roasted Carrots and since then, the emails have poured in with rave reviews. I also get a lot of questions about how to add cheese to the carrots, or if there’s a shortcut to the garlic butter sauce. With this recipe, I hope to answer those questions. First, you want to scrub and clean the carrots. Cut up the carrots in halves or thirds and place them in a large mixing bowl. In the meantime, melt 4 tablespoons butter in the microwave. Whisk seasonings, salt, pepper, and garlic into the melted butter, and pour over the carrots; toss to coat. I usually just use my hands for this part. Add grated parmesan cheese; and toss again. Transfer to a baking sheet and cook. HOW LONG DOES IT TAKE TO COOK CARROTS IN THE OVEN? 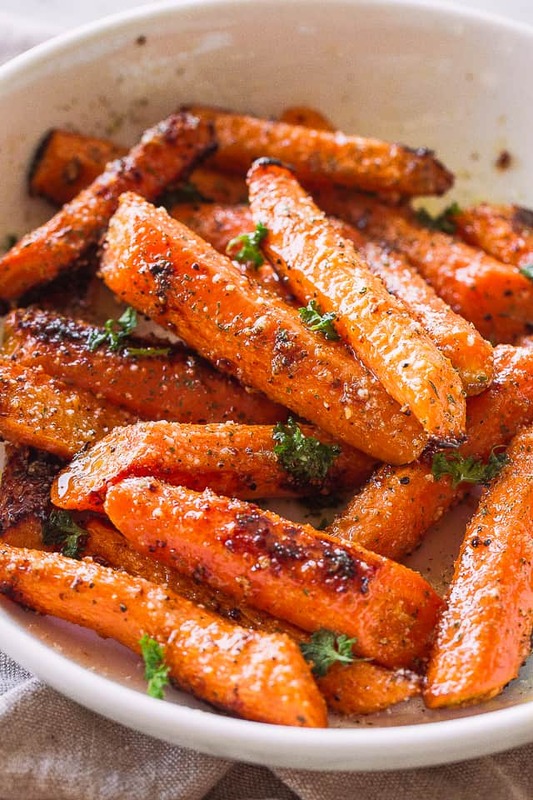 Spread carrots on a rimmed baking sheet and cook in a 425F degree oven for 20 to 25 minutes, or until tender. Mix carrots around half way through cooking. 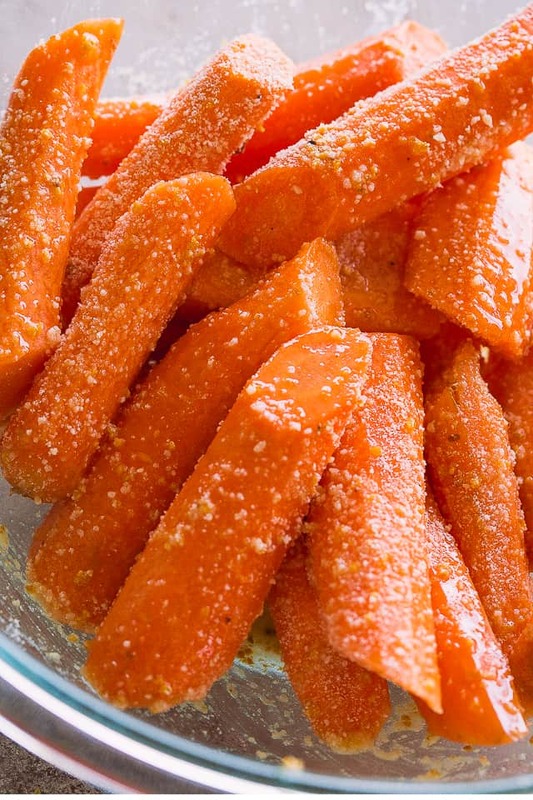 DO YOU NEED TO PEEL CARROTS BEFORE ROASTING? The short answer is, NO. So long as they are washed and scrubbed, you do not need to peel carrots before cooking. It’s a personal preference; sometimes I do, other times I don’t. CAN CARROTS BE COOKED AHEAD OF TIME? Absolutely! Roast your carrots in the oven a day or two in advance and keep them in the fridge in an airtight container. 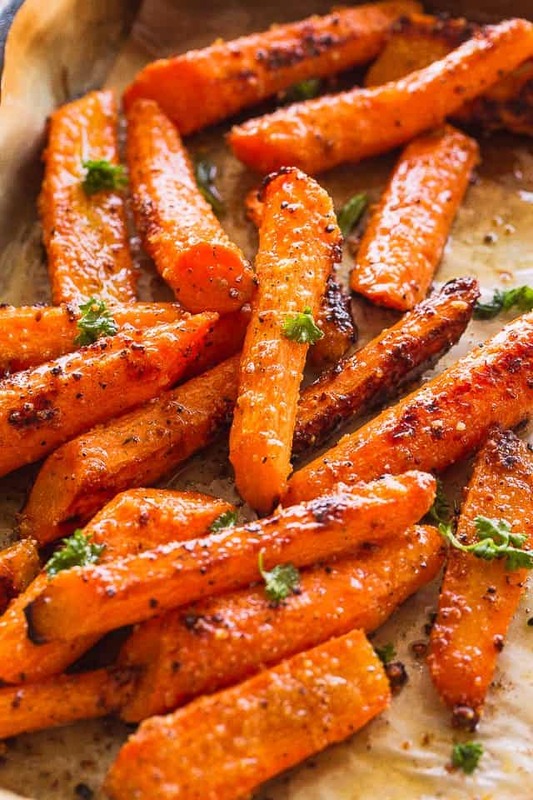 When ready to serve, spread the carrots on a rimmed baking sheet and reheat in a 425F degree oven for 5 minutes. An easy, family favorite roasted carrots recipe tossed with the most flavorful garlicky and buttery parmesan cheese coating. 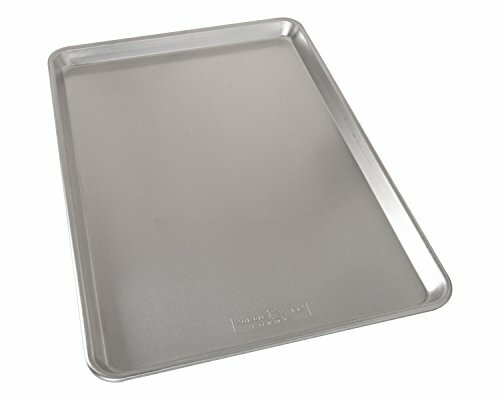 Grease a rimmed baking sheet with cooking spray or line it with foil; set aside. 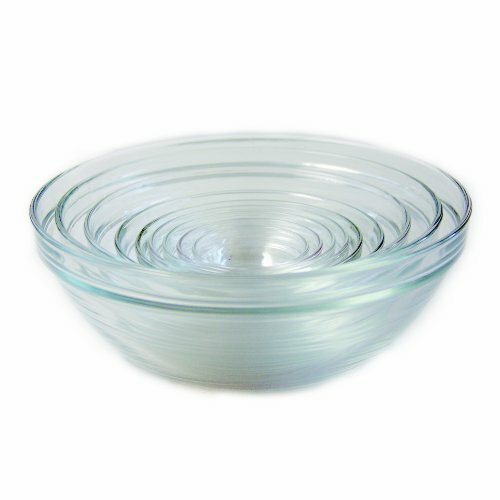 Place prepared carrots in a large mixing bowl; set aside. Once melted, add minced garlic, Italian Seasoning, salt, and pepper to the melted butter and whisk until thoroughly combined. Pour the butter mixture over the carrots and toss to coat. Add grated parmesan cheese and mix until combined. Transfer carrots to prepared baking sheet. Bake for 20 to 25 minutes, or until tender. Mix around half way through cooking. Roast carrots in the oven a day or two in advance and keep them in the fridge in an airtight container. KEEP LEFTOVERS IN THE FRIDGE FOR UP TO 2 DAYS. These carrots look so perfect, can’t wait to try! What a great side dish! Have to add these to my menu this week! Looks fantastic! Love how versatile this side dish is, can’t wait to give this a try! These are the BEST looking carrots!!! These carrots are a favorite! Easy, flavorful and delicious! These are the BEST carrots EVER!!! I make them at least a couple of times a month! These make the perfect side dish to literally ANY meal!! Delicious! This is the ultimate way to enjoy carrots, yum! This carrot looks so inviting. I will make it for Easter! I made these carrots yesterday and my whole family loved them! Love the flavor added to the carrots. This has become a favorite side dish! I bet the garlic and parmesan really give these already flavorful carrots, a nice touch! Perfect side dish and snack! Wow; what a perfect side dish! 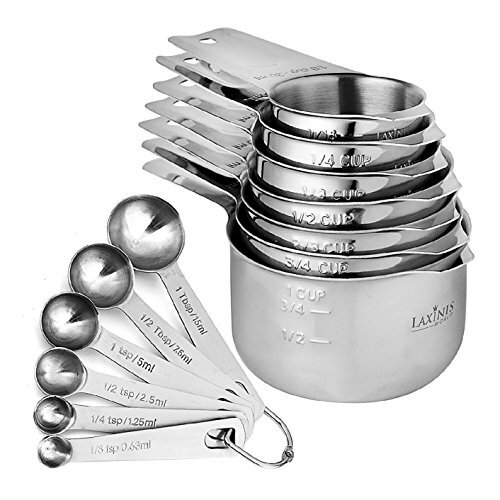 These will pair nicely with our Easter ham this holiday!